Lasya Infotech was started with a mission to provide state of the art training to aspiring students and be part of their success journey by honing their skills and making them the masters of the latest technology. With an impeccable result oriented curriculum, we are very well poised to become premium IT Skills Upgradation centre /Institute in India and a one stop hub for all Software training requirements to the students and corporates. Unlike others, we have always been focused on our goal at all times that we would call a spade a spade. Our strong commitment to deliver what is promised is what sets Lasya Infotech apart from other training institutes in India. With one of the brightest minds joining the force as trainers, Lasya Infotech flaunts a team of trainers who are the best amongst the best. Their unparalleled passion towards quality teaching remains the thrust behind Lasya Infotech’s success and sustained growth in an ever evolving market. Our capability lies in recognizing your ability, understanding your fitness, breaking down your needs and sustaining you to achieve the pinnacle of specialized incredibleness. We trust in the inborn capability of every person. Our graduated class have been elevated from junior officials to group pioneers, extend heads and administration experts throughout the years. Venkat, Mechanical Engineer turned IT Professional, Entrepreneur, holds Masters in Engineering and worked in Software and Manufacturing industry for over 20 years. 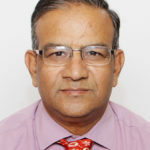 Venkat has vast experience in Supply Chain Management, Supply Chain Planning, Demand Management and traveled US & Europe and helped many business transformational projects with customer like top MNCs like Microsoft, Hewlett-Packard, Lenovo, Canon, Monsanto, Syngenta, Tecumseh, Emersion…Etc. 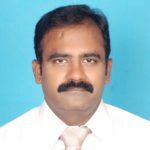 Venkat played multiple roles like Sourcing Manager, Vendor Development Manager, Production Planning & Control, Senior Business Consultant, Senior Business Analyst, Senior Solution Architect, Delivery Manager, and Project Manager….Etc. in Supply Chain Domain and Software Industry. 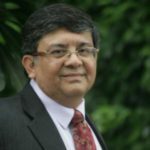 Venkat was associated with Infosys, Oracle and other MNCs and rolled out many business transformational projects around the globe. Understand the Techno Business Management operation to ensure profitable operation. About Pankaj: Brings in 30 years of total Engineering experience in Manufacturing, 20 years being in IT. Nearly 12 years of experience in overseas location Deploying multi location connectivity & technology. Empowering people with decision making and business intelligence tools. Adept at aligning IT to business requirements. Worked as CIO for last 12 years handling multiple technologies and solutions for manufacturing industry. Last three assignments as CIO with Electric equipment, steel and Cement manufacturing.